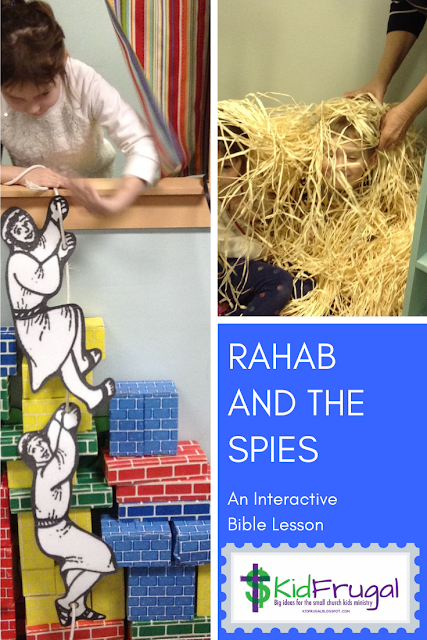 Kids just love this OT Bible story for its quirkiness. Quirky it may be, but it carries such great lessons that it is referred to 9 other times in the Bible (Numbers 31:8, Deuteronomy 23:4, Joshua 13:22, 24:9, Nehemiah 13:2, Micah 6:5, 2 Peter 2:15, Jude 1:11 and Revelation 2:14). 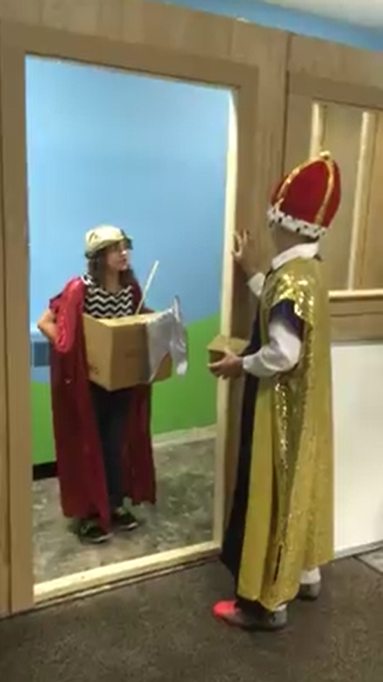 So I feel it is a story worth teaching. 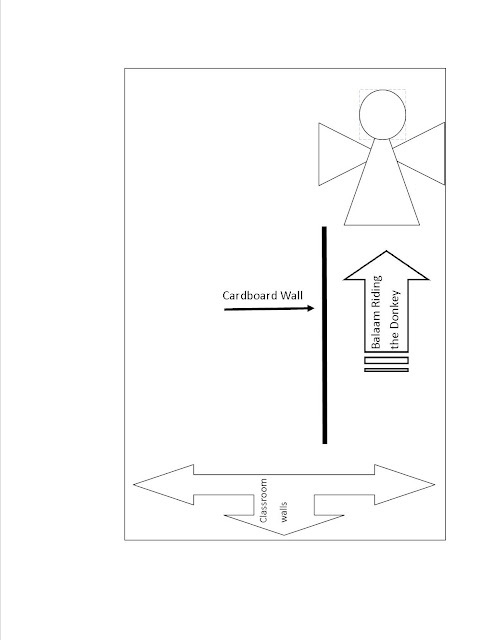 Wall - A large sheet of cardboard, like from an empty appliance box. 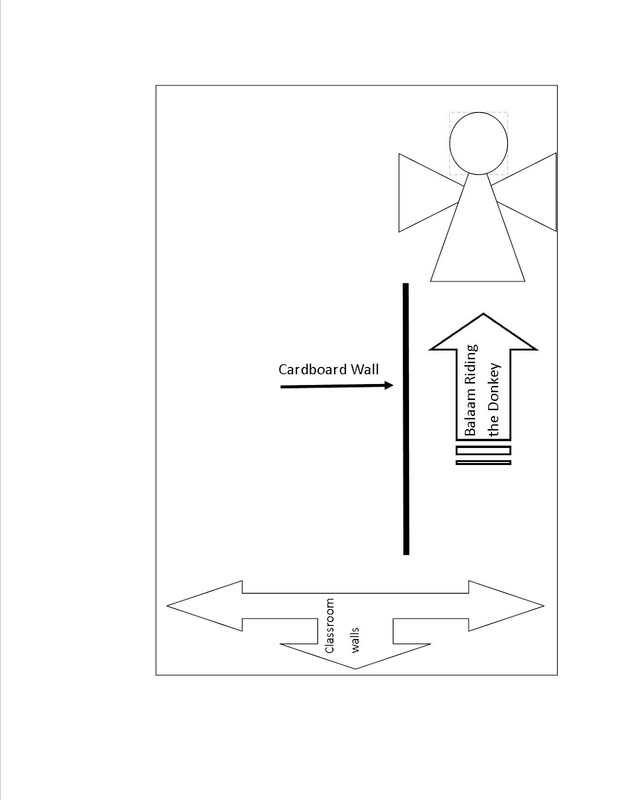 Place this “wall” about 2 to 2 ½ feet out from one of the real walls in your room. 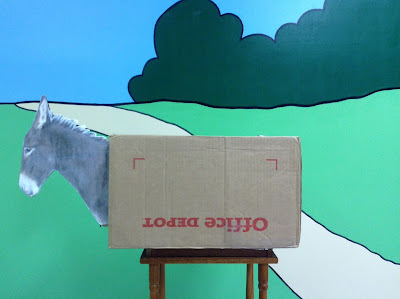 This will be the narrow spot the donkey stops in (see picture below). I adopted the drama for a cast of 3, but I actually wrote 7 parts in the attached drama. You can expand the drama for up to about 20 kids by having Balak send anywhere from 4 to 13 servants. 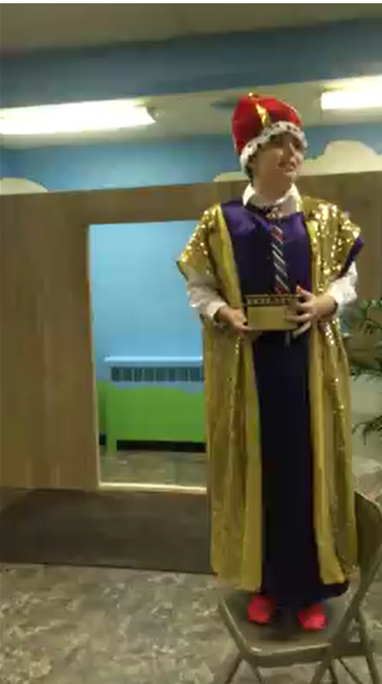 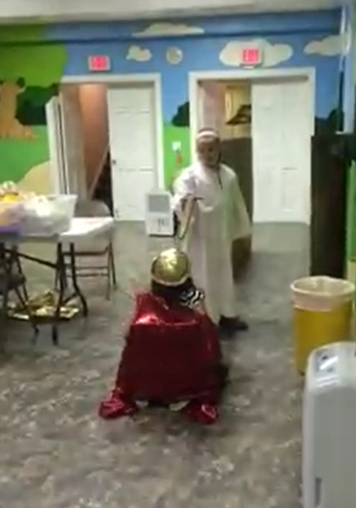 Balak going to Balaam (it was actually a servant that went, but we adapted the script for 3 children). 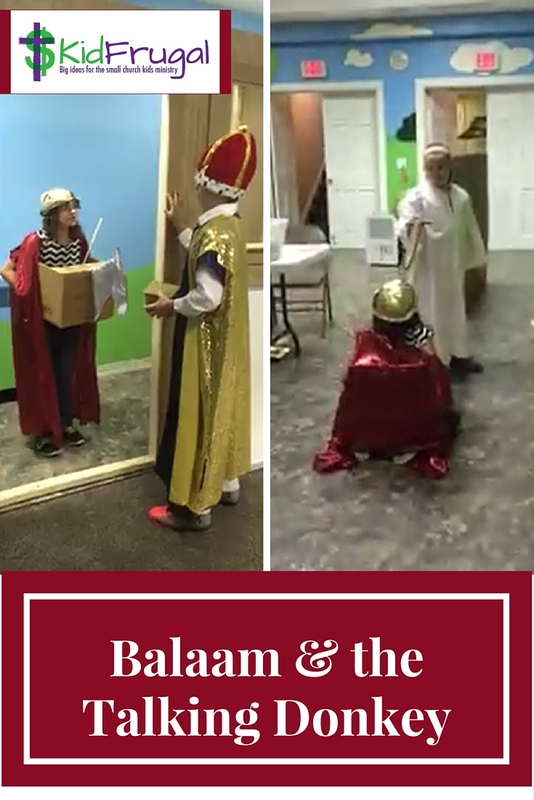 The angel blocks Balaam's way and the donkey kneels down. 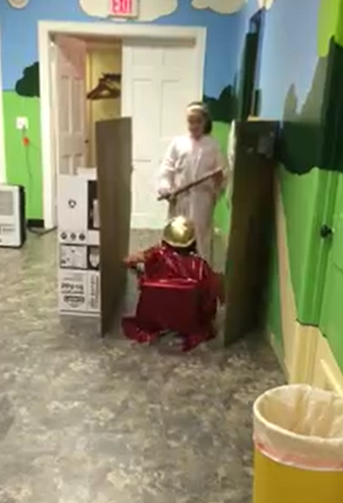 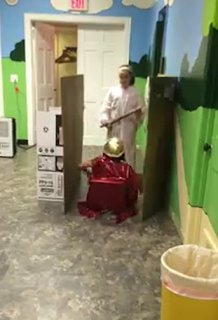 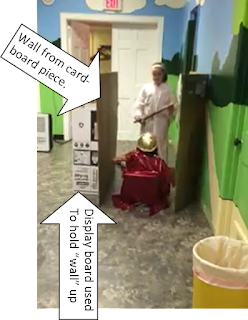 Balaam gets stuck in between the walls when the angel blocks his way.